When a boat-sized shoe and giant spectacles wash up on the shore, three of the town's orphans - Jack, Skeezix, and Helen - know there's something fishy going on; and the old ghost in the orphanage attic is inclined to agree. An evil carnival comes to town, run by a sinister gentleman who can turn himself into a crow. 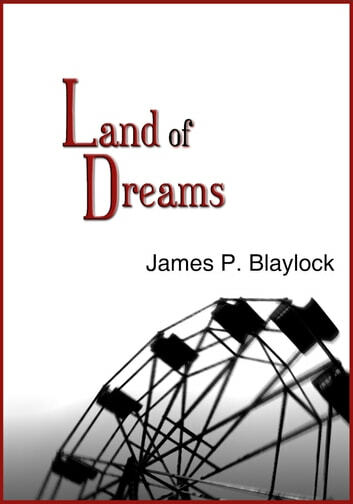 A mouse-sized man hiding in the wood-work leaves Jack an elixir that might, just might, allow him to cross during Solstice to another world, a mysterious land of dreams that holds the key to Jack's past and all their adventures. 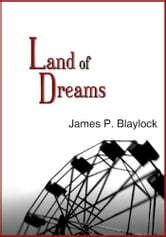 Land of Dreams is a phantasmagorical adventure reminiscent of Charles Finney's The Circus of Dr. Lao and Ray Bradbury's Something Wicked This Way Comes.